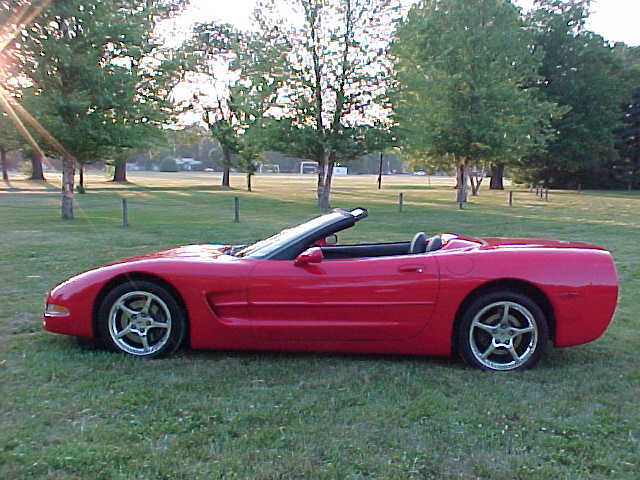 Yes, this is my 2001 bright, shiny, new,red, Corvette convertible. Having waited three months for delivery, it didn't give me much time to enjoy until I had to cover it up for the winter. You see, this car will never see snow or ice. Now, every once and awhile, I pull off the cover and fire it up in the garage and listen to the sweet sound of the exhausts. Soon we will be able to pop the top and cruise the countryside. Come on Summer! The beautiful color you see is "Torch Red", with the Black interior. In stock form it came with the 4-speed, sport seats. I had the dealer add the factory 12 CD changer, and immediately I upgraded the suspension to the Z51 sport package with take-off parts from Mallet, and bodyside moldings. After that -- the mod addiction began. 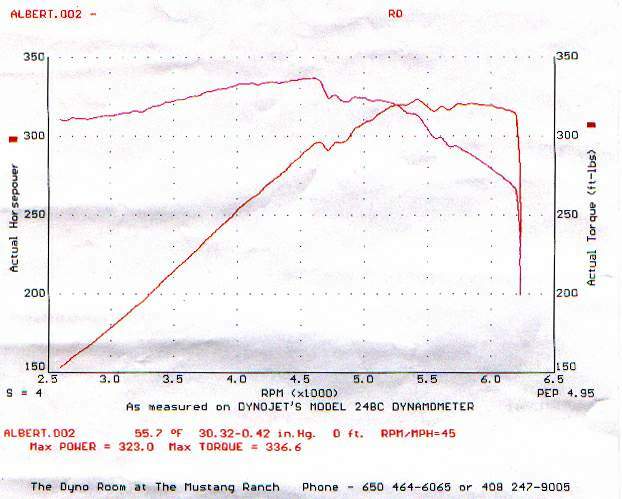 * Stock shifter shortened 1"
Check out the results of my Dyno runs. With just the intake and ported MAF, I'm putting out 323 RWHP! Can't wait to see if the Corsa system added anything. Send an email with comments, questions, or if you want to send me free stuff. I love free stuff.